Who Made Centralia's Residents Leave? Who Made Centralia's Residents Leave? 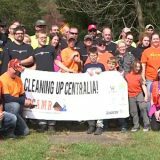 Who made Centralia PA’s residents leave their homes and the town? In truth, it was no one person or organization. Rather, it was several different parties over many years. By 1980, the borough of Centralia Pennsylvania had a serious mine fire on its hands. Numerous residents were having issues with deadly mine fire gases, like carbon dioxide and carbon monoxide, creeping into their homes. This was especially bad for John Coddington and his family. 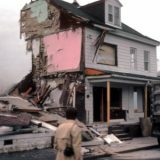 In 1979 his gas station, located in Centralia, was closed because of the mine fire heating the underground gasoline tank. Now the mine fire gases were threatening his home as well. The Pennsylvania Department of Health eventually declared the Coddington house uninhabitable in October of 1980. Additionally, the homes of the Burge, Andrade, and Buckley families were declared uninhabitable too. By March of 1981, the Office of Surface Mining (OSM) had devised a plan to relocate them, which they did. This relocation started the ball rolling. Organizations like the Concerned Citizens Action Group Against the Centralia Mine Fire pushed for a referendum to see if the residents of Centralia PA would prefer to stay or leave. In 1981, the majority was in favor of leaving. After several years of inaction and with the mine fire worsening, a second vote was taken in 1983. Again, the vast majority of Centralia’s residents wanted to be relocated out of the town and away from the mine fire. And, this time around Congress approved $42 million to make it happen. The exodus from Centralia, Pennsylvania was at first voluntary. Residents who were interested in leaving would have their homes appraised. If they accepted the buyout offer, they would be paid and their homes turned over to the Commonwealth of Pennsylvania. The homes would then be torn down. As families left and their homes demolished, other felt pressure to leave as well. In that respect the relocation effort, while voluntary, was a bit like dominoes falling. 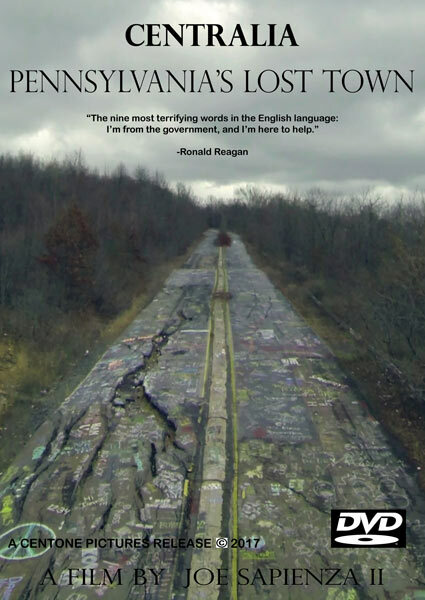 This process continued until there were only 63 residents remaining in Centralia PA by 1990. Things took an abrupt turn in 1992. That year, Pennsylvania Governor Robert P. Casey declared eminent domain over the remaining Centralia properties. This was followed by an eviction of the remaining residents. While some went a few diehards remained and decided to fight the state for their right to remain in their homes. This started and on again off again battle between Pennsylvania and the remaining residents. 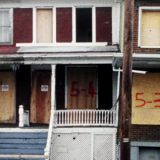 During the 1990s and 2000s additional residents left after being threatened with eviction. The legal battle finally ended in 2013 when the Commonwealth of Pennsylvania settled the lawsuit. The few remaining residents in the borough would be allowed to stay until their deaths. Only then will the story of Centralia PA come to a close. Electricity from the Centralia Mine Fire? So after they leave the town, nobody else can live there? Or visit at all? I would love to live there! The history of the town is nice, yet sad that they let the town diminish. Hi Kaylee. 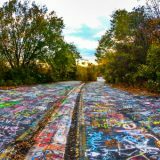 The land in Centralia is owned by the State of Pennsylvania, so no one else is able to move there and live on it. However, you can definitely visit if you want! Oh okay. I’ll definitely make it a point to visit sometime! So when did people start leaving the town, like 1980? 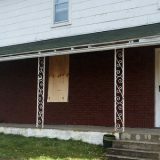 And when was the part of Route 61 abandoned and how much was abandoned? Hi! I am currently working on a National History Day Project and my topic is Centralia, and I was wondering if you could answer some questions I have. Hi, I was interested in visiting, has anyone visited there or is visiting still allowed? You can still visit. We were there in September and are going back in two weeks.